Fried Rice has various types because fried rice is known in various corners of the archipelago. 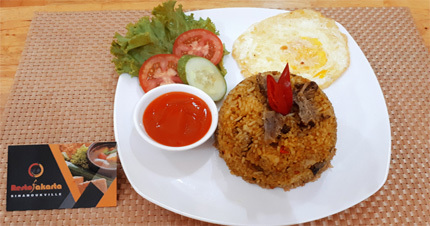 One of fried rice is quite familiar in Indonesia is Beef Fried Rice. Beef Fried Rice is identical to beef. Boil until tender, then put with rice and eggs and stir until blended. Coupled with soy soauce and salt will make the taste of fried rice to be savory.